This is not the first time that Louisianans have lost their communities or their lives from the actions of corporations. The land loss caused by oil companies has already displaced many who lived by the coast, and the pollution from treatment plants has poisoned communities across the state – especially in “cancer alley,” the corridor of industrial facilities along the Mississippi River south of Baton Rouge. “The cultural losses as a consequence of the BP disaster are going to be astronomical,” says Advocates for Environmental Human Rights (AEHR) co-director Nathalie Walker. 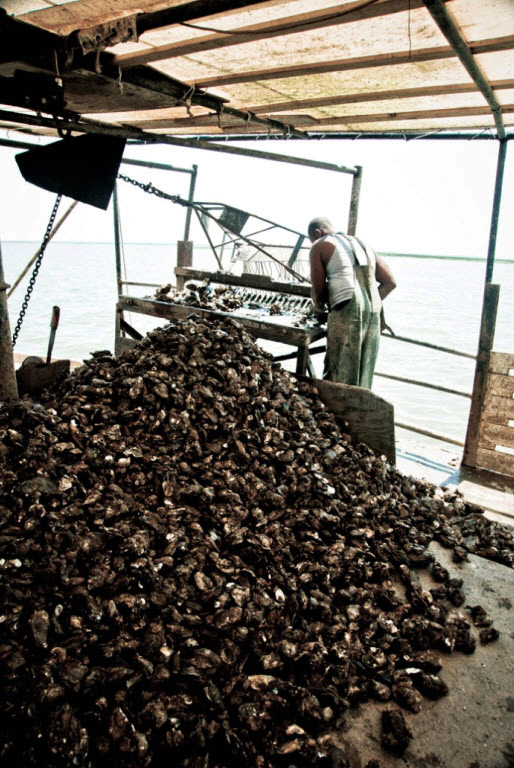 “There is no other culture like Louisiana’s coastal culture and we can only hope they won’t be entirely erased.” Walker and co-director Monique Harden have made it their mission to fight the environmental consequences of Louisiana’s corporate polluters. They say this disaster represents an unparalleled catastrophe for the lives of people across the region, but they also see in it a continuation of an old pattern of oil and chemical corporations displacing people of color from their homes. Harden and Walker point out that at least five Louisiana towns – all majority African American – have been eradicated due to corporate pollution in recent decades. The most recent is the Southwest Louisiana town of Mossville, founded by African Americans in the 1790s. 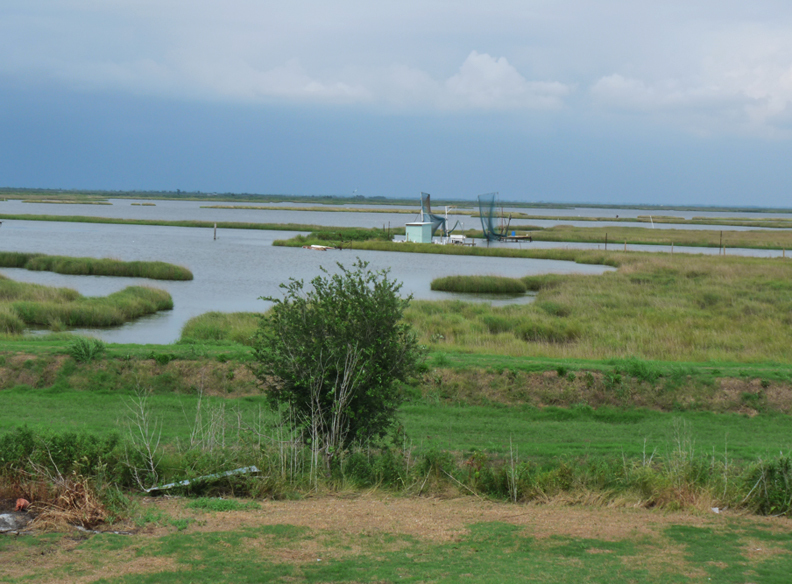 Located near Lake Charles, Mossville is only five square miles and holds 375 households. Beginning in the 1930s, the state of Louisiana began authorizing industrial facilities to manufacture, process, store, and discharge toxic and hazardous substances within Mossville. Fourteen facilities are now located in the small town, and 91 percent of residents have reported at least one health problem related to exposure to chemicals produced by the local industry. The southern Louisiana towns of Diamond, Morrisonville, Sunrise and Revilletown – all founded by former slaves – met similar fates. After years of chemical-related poisoning, the remaining residents have been relocated, and the corporations that drove them out now own their land. In most cases, only a cemetery remains, and former residents must pass through plant security to visit their relatives’ graves. The town of Diamond, founded by the descendents of the participants in the 1811 Rebellion to End Slavery, the largest slave uprising in U.S. history, was relocated by Shell in 2002, after residents had faced decades of toxic exposure. Morrisonville, established by free Africans in 1790, was bought out by Dow in 1989. Residents of Sunrise, inaugurated near Baton Rouge by former slaves in 1874, were paid to move as the result of a lawsuit against the Placid Refining Co. In the mid-1990s, chemical producer Georgia Gulf Corp. poisoned and then acquired Revilletown, a town free Africans had started in the years after the Civil War. The town of Diamond, founded by the descendents of the participants in the 1811 Rebellion to End Slavery, the largest slave uprising in U.S. history, was relocated by Shell in 2002, after residents had faced decades of toxic exposure. Harden says Louisiana and the U.S. must fundamentally transform our government’s relationships with corporations. “We’ve got to change the way we allow businesses to be in charge of our health and safety in this country,” she adds. As an example, Harden points to more stringent regulations in other countries, such as Norway, which requires companies to drill relief wells at the same time as any deepwater well. 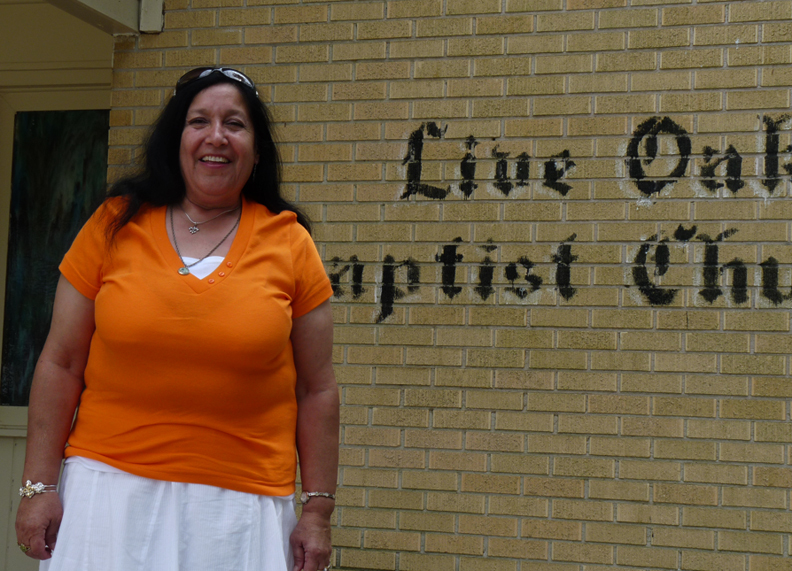 Sitting on a church pew, Theresa said they had met with indigenous natives from Alaska who discussed their experience in the aftermath of the 1989 Exxon Valdez spill. “We don’t know how long we’ll be without fishing,” said Theresa. “It was 17 years before they could get shrimp.” And, she noted bitterly, this disaster is already much larger than the Valdez, with no end in sight. The miles of swamp and barrier islands that stood between these homes and the Gulf used to slow hurricanes, and now the entire region has become much more vulnerable. Brenda Billiot, another local resident, gestured at her backyard, about a few dozen yards of grass that fades into marshes and water. “This used to be land,” she says, “as far as you could see.” Billiot is still repairing her home from the 2005 flooding, including raising it up a full 19 feet above the ground. She wonders if that will be enough, if there is anything they can do to make themselves safe and hold onto their culture. Jordan Flaherty is a journalist, an editor of Left Turn Magazine, and a staffer with the Louisiana Justice Institute. He was the first writer to bring the story of the Jena Six to a national audience, and his award-winning reporting from the Gulf Coast has been featured in a range of outlets including the New York Times, Mother Jones and Argentina’s Clarin newspaper. He has produced news segments for Al-Jazeera, TeleSur and Democracy Now! and appeared as a guest on CNN Morning, Anderson Cooper 360 and Keep Hope Alive with the Reverend Jesse Jackson. Haymarket Books has just released his new book, “Floodlines: Community and Resistance from Katrina to the Jena Six”; see floodlines.org. He can be reached at neworleans@leftturn.org.